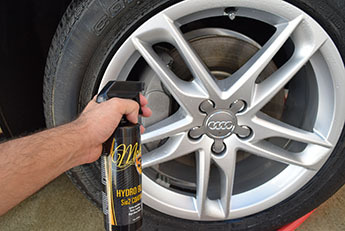 McKee's 37 Hydro Blue will quickly become your favorite car care product. Thanks to advancements in chemistry, it's possible to formulate a surface coating that doesn’t need to be applied using traditional methods. Hydro Blue is water activated, so all you need to do is rinse it off after you spray it onto your vehicle's exterior panels. 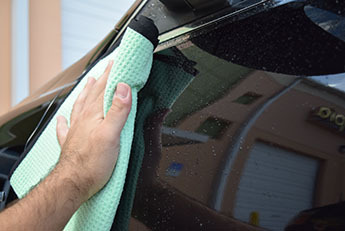 The best time to use Hydro Blue is immediately after you wash your car, while the paint is still wet. Working one panel a time, spray Hydro Blue directly onto the surface and then rinse it off using a strong jet of water. McKee's 37 Hydro Blue is formulated using Sio2 technology that forms an electrostatic bond to exterior panels, enabling Hydro Blue to last 3 months or more. Not only is Hydro Blue durable, the shell of protection it creates is glossy and extremely hydrophobic. You’ll be amazed at the incredible beading and sheeting that McKee's 37 Hydro Blue exhibits on all exterior surfaces, including paint, wheels, and glass. UVA and UVB light absorbers keep your paint from dulling or fading. McKee's 37 Hydro Blue is one of the best values in car care. 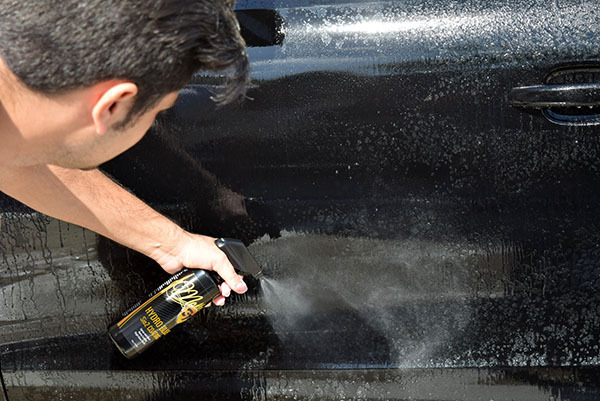 Use this advanced coating on paintwork, glass, chrome, and plastic trim. Only a few ounces are needed to protect a full size truck or SUV. 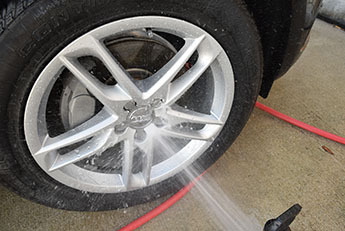 Paint will appear brighter; glass will stay cleaner; brake dust will not stick to wheels. McKee's 37 Hydro Blue is a product for everyone – professionals and beginners.